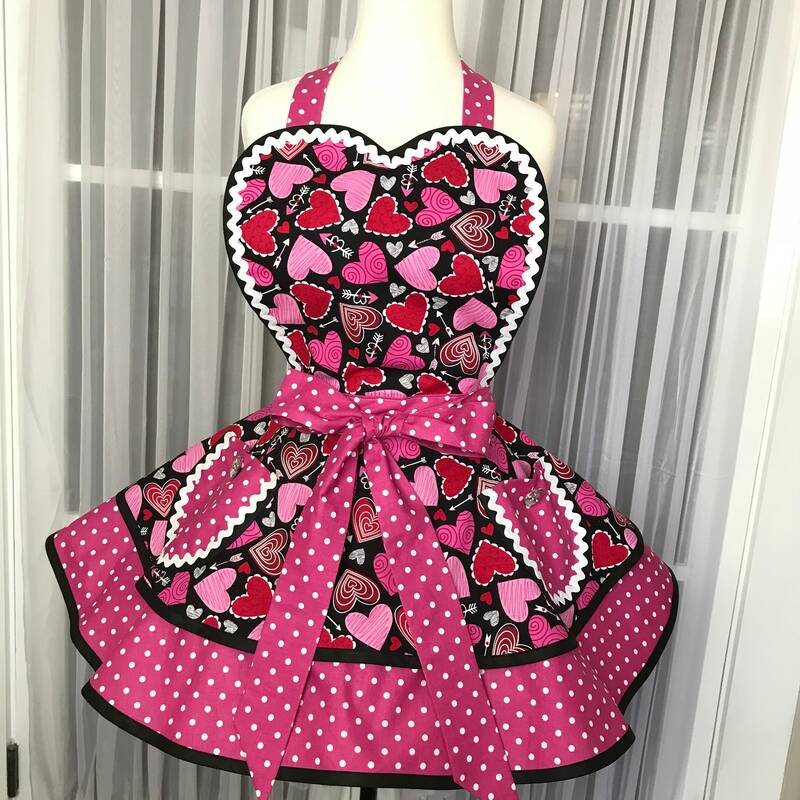 Happy Valentines Day or any day of the year with this cutie! 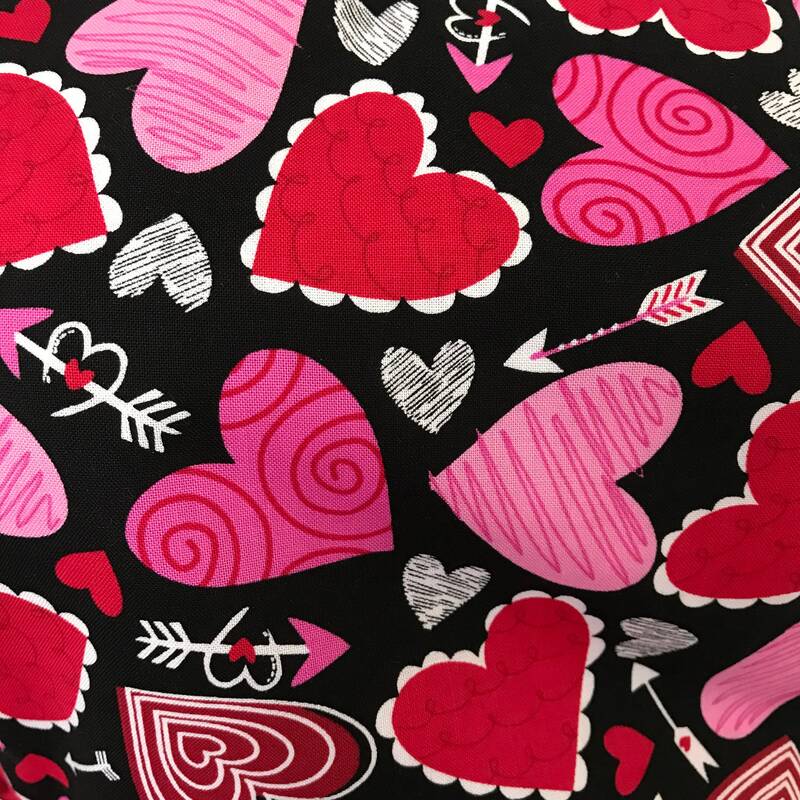 Lots of pinks, reds, white and black in this great heart print. 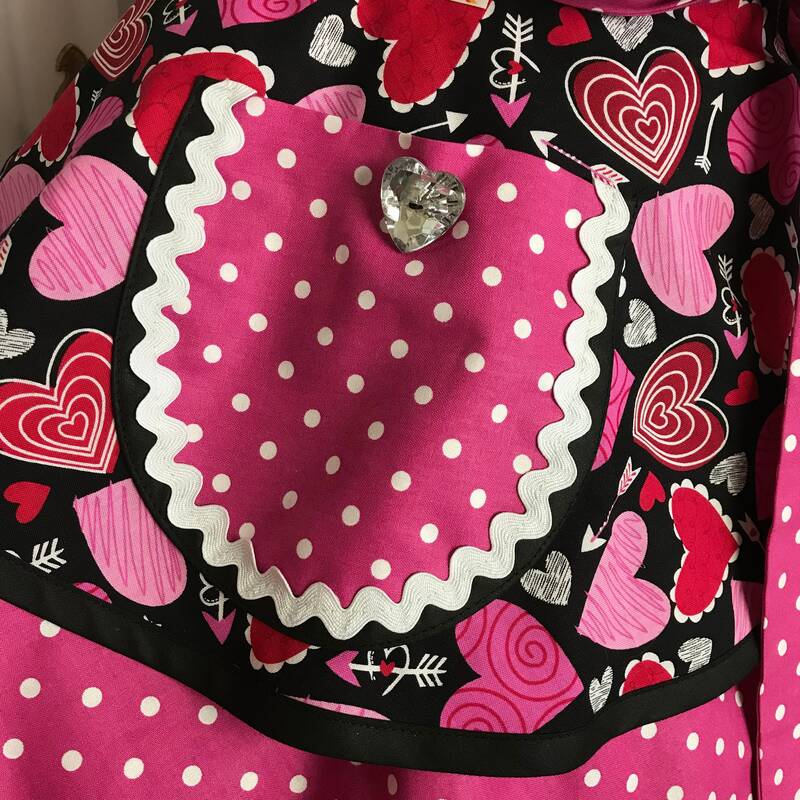 I've trimmed it out with black binding, white ric rac and glitzy buttons. 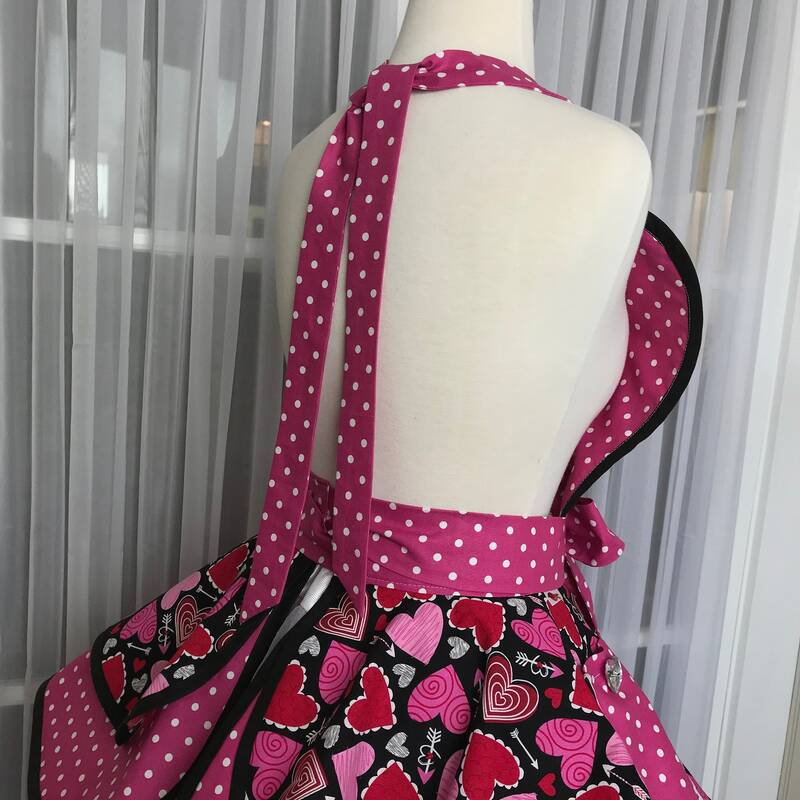 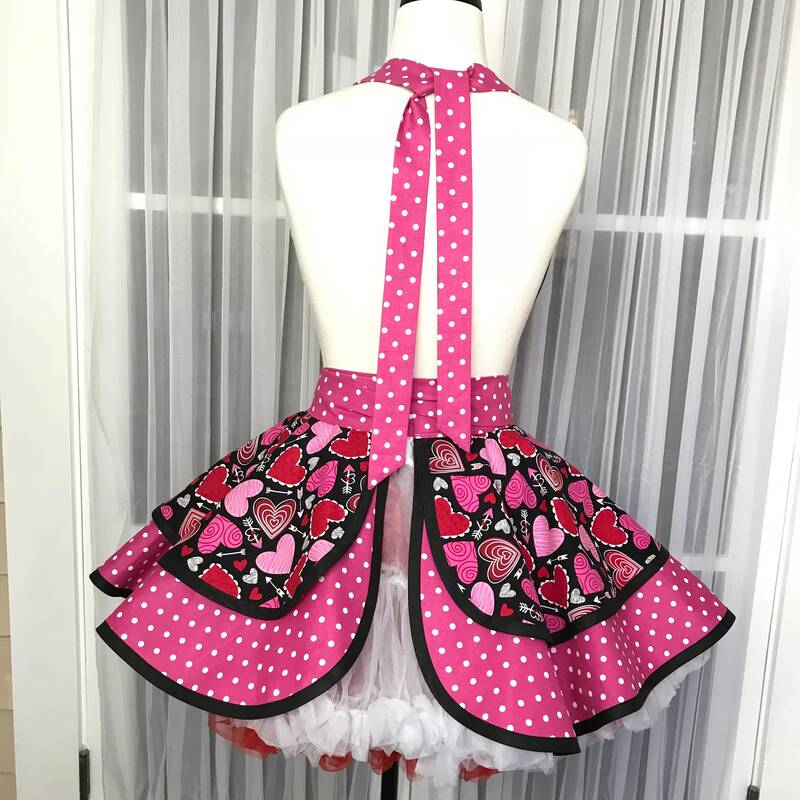 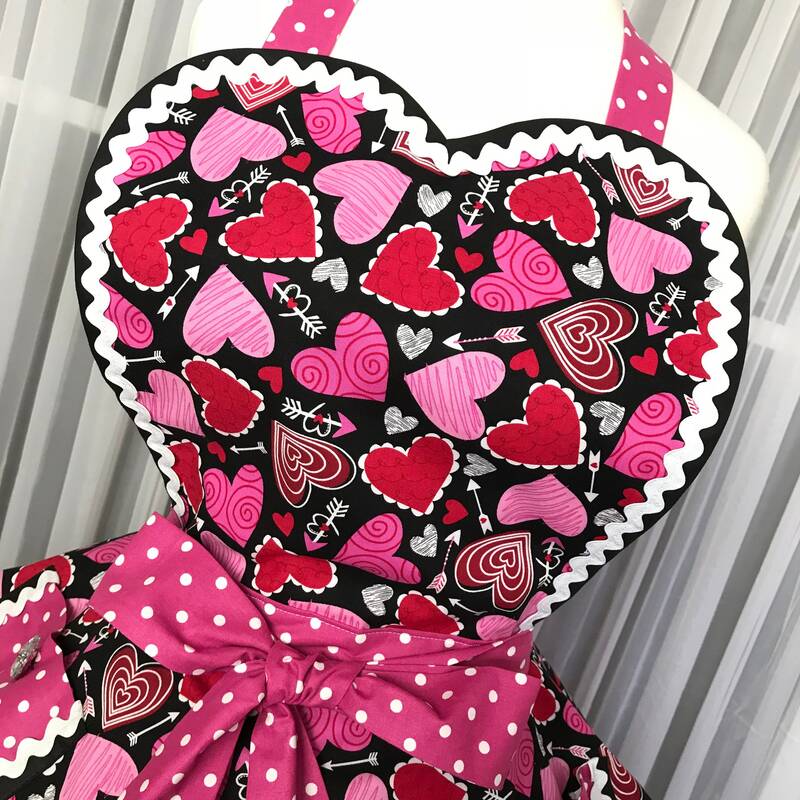 Wear this for Valentines or host a party, gift it, or add to your collection of seasonal aprons!